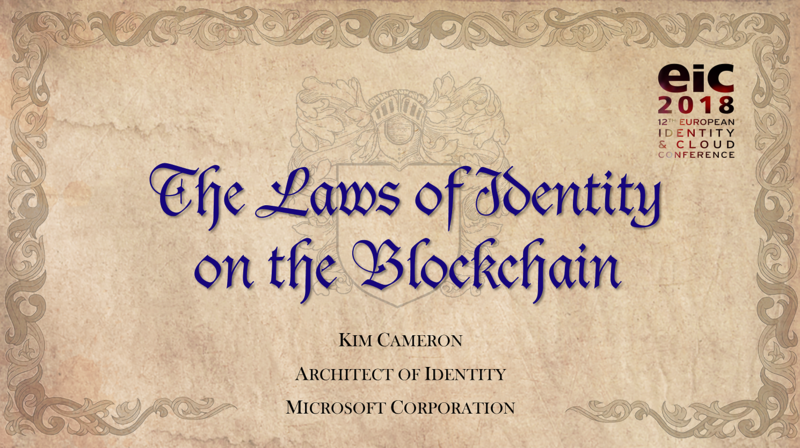 These days people tend to ask me two main questions: What do I think about Blockchain identity? And what does it change in the Laws of Identity? In my keynote at Kuupinger Cole’s 2018 European Identity and Cloud Conference I took the opportunity to answer both.